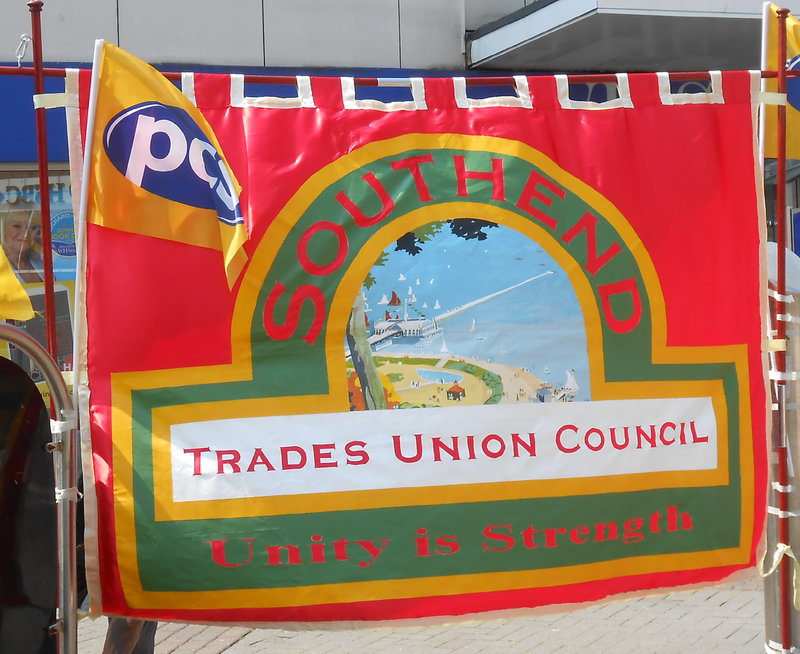 Southend Trades Union Council brings together unions in our local area to campaign around issues affecting working people in their workplaces and local communities. We aim to: •raise public awareness of rights at work and the union role in enforcing those rights. •promote organising and recruitment drives to build union membership. •support union and community campaigns for dignity and respect in the workplace and beyond. PCS is working with several teachers unions to take co-ordinated action, possibly on 30th June. Throughout the summer we expect other public sector unions to start balloting members. Len McCluskey, General Secretary of UNITE, made a commitment to PCS at National Conference that his members will come to the party soon. Hopefully UNISON can get their membership records in order, so they too will be able ballot. Our General Secretary, Mark Serwotka, has made it clear that our proposed action isn’t political posturing or a demonstration against our employers. Our action is designed to win. The action on 30th June would only be the start. So, why are we taking action? PensionsThe Hutton Report demands that the Civil Service Pension contributions will need to go up by 3%. Instead of a Salary Ending payment, future pension payments will be based on career average. The media myth is that our pensions are gold plated. They are not. The average Civil Service pension pays out at just over £6000 a year. PayThe Government has implemented a 2 year pay freeze for Civil Servants. At the same time the bankers who created the economic collapse are still receiving excessive and grotesque bonus payments. Inflation is running at 5%, food and fuel prices are escalating at a higher rate. It is expected that gas and electricity will rise by between 15% and 25% before the year is out. We are already paying 2.5% extra VAT than we used to. JobsThe Government cuts agenda continues unabated. Civil Service jobs are being slashed left, right and centre. HMRC are due to face somewhere in the region of an 18% cut. It could be you! In Southend we had the most pre-surplus staff in the country until recently. All of our jobs could be done elsewhere in the country or by private companies. None of us are safe. The local Job Centre has few jobs, mostly in the driving, nursing and catering sectors, all at minimum wage and mostly part time. This Government only cares about the rich, the bankers, and big business. They do not care, nor represent, people like you and I. We are merely collateral damage. Statistics on a balance sheet. We know this Government is weak and made up of uneasy bedfellows. We have seen them squabble with each other like children in the playground. We know they can be split and divided. Our response must be as a united front. It must be unequivocal. I am the Secretary of Southend TUC, and a member of UNITE.